Maruti India is expected to introduce their latest addition Maruti Ertiga, a Multi Purpose Vehicle to their ever growing fleet of cars in the thriving Indian automobile market. This launch is scheduled on the 11th of April, which is a very good ploy by the company as till then the Union budget of the Indian government would also be done with. There are some speculations that during this budget there would be some changes in the policies or tax levies for the automobile industry. The final pricing of this latest Maruti Ertiga would be confirmed after the budget specifically of the diesel variant as there are rumors that the government might raise the excise duty on the diesel passenger cars and SUV’s. According to a Maruti Ertiga Review, this MPV would be fitted with the latest 1.4 liter K-series VVT engine, which would be the largest k-series engine made so far. The displacement of this MPV would be 1372 CC, which can generate a maximum power of 95 BHP in combination with a healthy torque of 130 Nm. At the same time, the diesel version would house a 1.3 Liter multi-jet turbo diesel engine with the Direct Diesel Injection System (DDIS) with a capacity to churn out a peak power of 89 BHP with a maximum torque of 200 Nm. 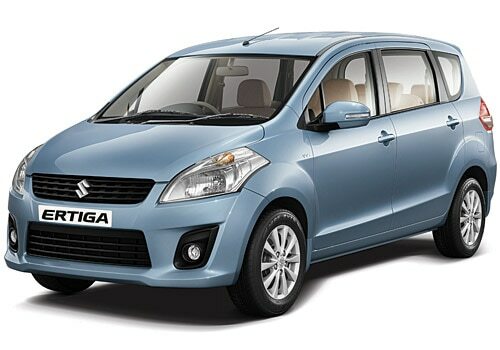 Maruti Ertiga Price for the Indian car market is expected to be around Rs. 7.00 lakh (ex-showroom Delhi) for the base variant in diesel. The actual price would be revealed very soon and so would be the price of the petrol variant, which is yet to be announced. Maruti Ertiga also has excellent safety features like airbags, EBD, ABS, keyless entry and central locking to name a few.